The Chicago Sun-Times has endorsed for mayor a Black woman who has never served a political office, but who its editorial board believes has been a vigilant public servant. 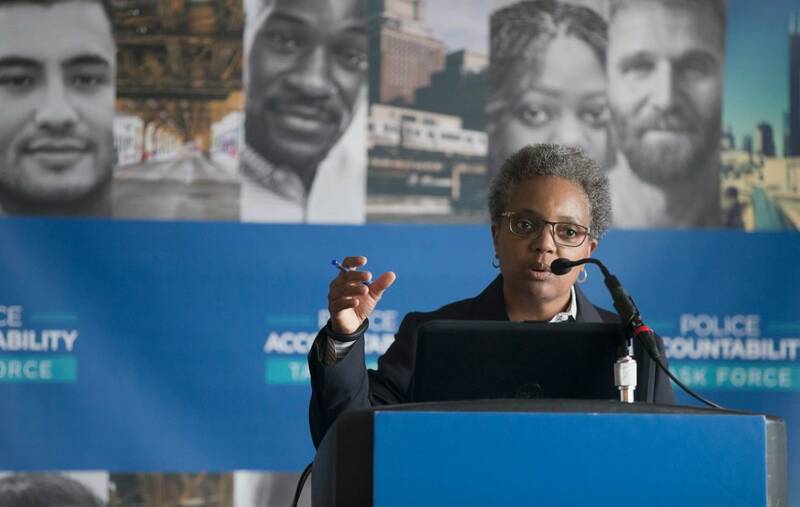 Lori Lightfoot would be an effective steward for the city’s residents “from the hedge fund managers to the fast food workers,” the newspaper says. Lightfoot, 56, has been an outspoken critic when City Hall gets it wrong, even calling out her own bosses. She has operated with honesty and integrity, the newspaper wrote. The Chicago Sun-Times said Lightfoot shines brighter than the other 13 mayoral candidates because she doesn’t represent a particular constituency and would be an effective leader for the entire city – “from the hedge fund managers to the fast food workers. Lightfoot, 56, is the first openly LGBT candidate for mayor of Chicago. She has served on the Chicago Police Board; as co-chair of the Chicago Police Accountability Task Force; and as Assistant U.S. attorney for the Northern District of Illinois earlier in her career. When she worked as a federal prosecutor, Lightfoot helped convict a former Chicago alderman for taking bribes. As deputy chief in City Hall’s procurement department, Lightfoot and her boss, Mary Dempsey, made waves and enemies when they took on the politically connected, including a big builder in town and a major fundraiser for former Mayor Richard M. Daley – their boss, who accused them of going too far. Also, when Lightfoot oversaw the Chicago Police Board, which had a reputation for being too soft on bad cops, the board axed officers in 72 percent of the cases it heard. In another instance, as a lawyer for law firm Mayer Brown, Lightfoot worked on two lawsuits that alleged the congressional map in Illinois was not fair to state Republicans, and she fixed it. But the most widely known case she became involved in was in 2014, when police killed Laquan McDonald – leaving a fractured and outraged community. Mayor Rahm Emanuel refused to release an explosive video of the shooting for 13 months. This eventually led Emanuel, who was criticized by Lightfoot, to accept an overhaul of the Chicago Police Department, monitored by the courts. A federal report by the U.S. Justice Department backed up Lightfoot’s report. Chicagoans will vote for a mayor on Feb. 26. If Lightfoot manages to come in first or second place, she will move to a run-off election on April 2.